Chelsea doesn’t actually have its own tube station, but it is very well connected to the London Underground by nearby stations. The two most convenient stations for Chelsea are Sloane Square (served by the Circle and District lines) and South Kensington (served by the Circle, Piccadilly and District lines). You can hop on a Circle Line tube from Sloane Square and travel around 8 minutes to explore the world famous Portobello Road Market (alight at Notting Hill Gate), or travel around 20 minutes to Baker Street to mix with the waxwork stars at Madame Tussauds. From South Kensington Tube you can take the Piccadilly Line and travel 10 minutes to get to Leicester Square Underground Station: gateway to the West End. 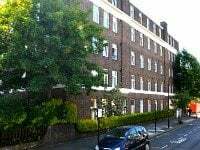 There is plenty of parking available in Chelsea with a large NCP car park located in Cadogan Place. A private car park can also be found in the shape of Cloisters Car Park in Sloane Avenue, and another NCP is situated in nearby Knightsbridge, on London Pavilion Road. As with all centrally located London districts, there are a large number of Black cabs circulating the Chelsea area. In addition to hailing one of these cabs, you could use one of the localised taxi firms in the area. 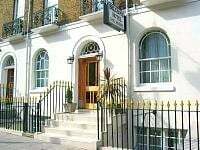 These firms include London Airports Taxi Transfer on Kings Road, Royal Executive Cars on Brompton Road and Southkencars.co.uk on Pond Place, which is just off of Sydney Street. Whilst there is plenty to in the district of Chelsea, there is also a huge amount to do in the surrounding areas! If you take Sloane Square Tube Station as your starting point you can take a 13 minute stroll (approximately) to trendy Knightsbridge for another must see (or must shop) attraction: world famous Harrods department store. Another of the very lavish places definitely worth a visit is the Brompton Oratory. This stunning 19th Century Roman Catholic Church is a replica of the Gesu Church in Rome and is about a 16 minute walk away. The fabulous South Kensington area is also reachable on foot in around 20 minutes, and here you can walk amongst the dinosaurs at the fascinating Natural History Museum.